Are you already a member? Log in right away! Are you a guest? Register and join the fun! 101 years later....It is the year of 2114 and there are kids aged from 2-16 all over, abandon from their parents dying or just leaving them. No where is safe. What happens when a group of kids, all different ages, get together to try and protect each other? Who will survive? 1. Follow all WOF rules. 2. Minor cussing is allowed. Don't make it too bad. 4. Holding hands, kissing, hugging, etc. is allowed, but don't make it gross. 5. Keep EVERYTHING PG-13 or lower! 7. The code word is SURVIVE. This is to make sure you read the rules. 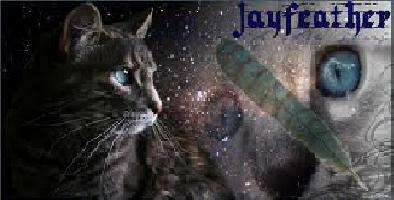 Personality: Very shy, doesn't talk much, weak, paranoid, very cautious, "scardy cat"
I'm the founder/co owner of WOF. Feel free to PM me f you have any questions. Don't get to close, it's dark inside. Location : Indiana/Mirkwood/ThunderClan/The Kanto Region/Hogwarts. I have mastered being in 5 places at once. Personality: Tough on the outside, soft on the inside. Used to be bullied, shows little emotion in front of others. Other: Lived on the same street at Brandon. Personality: Protective, talkative, leader of the group. Makes sure everybody has what they need, and won't take anything unless everyone else is dealt with. Appearance: Tall, african-amerian. Blue eyes and a buzz cut with black hair. Has burns on his hands. Personality: Kind, caring, imaginative. Thinks of the war as a game, and is always happy. Appearance: Skinny with longish blonde hair and green eyes. Very pale skin. Although he is blind, he sees with his heart. BOOM! A gun fired near. CLASH! It hit something. "HELP!" Someone cries. A mother is running, with a crying daughter in her hands. "It's going to be okay," she tells her softly. "I love you, Jayde." The mother sets the five year old down and runs off. Jayde, watched as her mother disappeared. With teary eyes, Jayde tried to run after her mother but her sight was too cloudy. She just sat down and cried. In the distance, a young boy, no more than 10, watched as a woman deserted her child, crying in the street. He ran up to her and smiled. "Hi! What's you're name?" Chris grinned. "J-jayde," the blonde girl sobbed quietly. "I'm Chris. I'm going to help you!" Chris seemed a little too happy. The world was a depressing place, and he seemed to be the only person to bring joy to it. Jayde hated to be with strangers. She barely spoke to anyone. She got up and ran, she ran as fast and as far away as she could. Suddenly she hit a wall. She opened up her eyes and saw, with blurry vision, an abandon house. She went in, hoping it would be a good place to hide. "H-hello?" Jayde whimpered, hearing floorboards creek in front of her. "MOMMY!" she cried, hearing no answer. She found a good bed to hind under. She went under it and kept quiet. "There you are!" Chris exclaimed from behind her. Jayde shrieked and hit her head on the bedframe. "H-how did you find me!" She whimpered. Chris walked around. Jayde saw his feet and almost shrieked when his little head dropped down. "You found my house!" Chris grinned. "That's really weird, I thought you just left me!" Just then, an older boy entered. "Chris," he said, "Where have you been! I've been looking all over." The boy spotted Jayde and pulled her out. "Hey there, I'm Brandon. Who are you?" Jayde sat there and just stared. "Her name is Jayde," Chris cut in. "She's pretty young Chris, what's her story?" Brandon asked, oblivious to the fact the girl hasn't spoken yet. "Her mother abandon her. She ran away to try and hide," Chris told him. "Well then she'll have to live with us. It'll be good for Lucy to have another girl around here. We've outnumbered them for awhile now," Brandon chuckled and turned to Jayde. "Everything will be alright, I promise." Jayde started crying. As those were the last words her mother said to her. 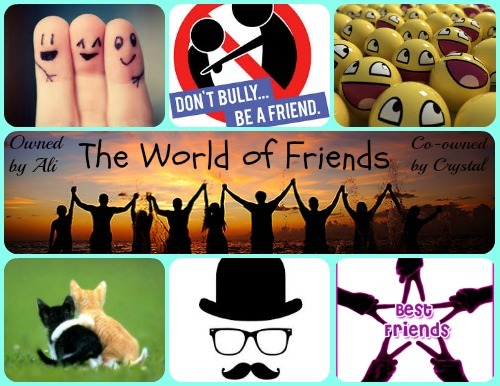 Jump to: Select a forum||--Welcome to WOF| |--The WOF Site Rules & Information.| |--World of Friends News/Announcements| |--Introductions| |--Happy Birthday! :D| |--Personal Blogs| |--Crystal's Blog! Hi!! !| |--Abby's Blog!| |--Role Plays| |--Role Play Rules and Regulations| |--Warriors & Animal RPs| |--Mythical/Fantasy RPs| |--Realistic RPs| |--Creations & Stuff| |--Creative Writing| |--Graphic Making!| |--Crafts and such.| |--Games, Clubs, Polls, and More! |--Games |--Club Section! |--Polls (Official & Non-Official) |--Off-Topic Chat! The ABC game- name edition!